If you have ever watched or heard about « Super size me », the famous cinema documentary about Mac Donald, you could guess what happened to me trying the same with instant noodles. Because if you want to seriously make and commercialise instant noodles, even the best ones with spent grains/drêches, the most natural and nutritive ones that don’t exist yet, you must know them closely, understand their power, and so eat lots of it? There was a time in the US when Mac Donald had this quite fat menu option called « Super Size ». Imagine a bigger portion of your usual fries and drinks (plus unlimited for the latter). 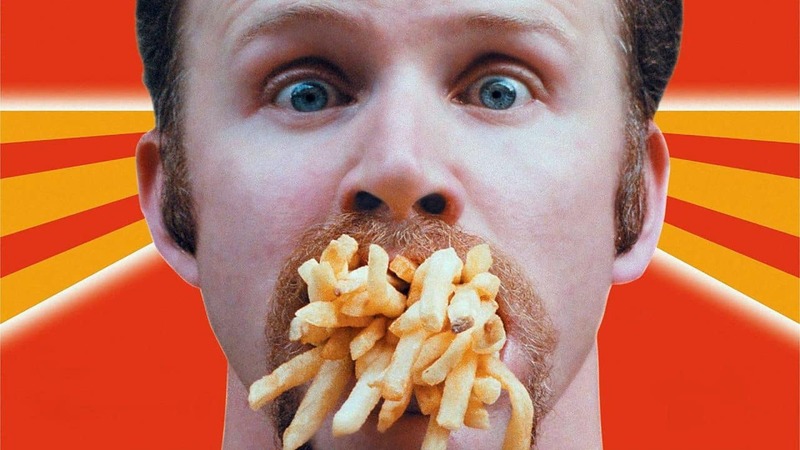 This upsized menu lasted from 1994 to 2004, until Morgan Spurlock, an independent American movie maker denounced it and the terrible fast-food effects on population by forcing himself to eat every day, each meal, Mac Donald’s products. A 30-day crazy experimentation of choosing the Super size option any time he was asked. Insane, but relevant. Morgan gained 11kg in 30 days, increased dangerously his cholesterol rate, injured his liver, felt many depression symptoms and thorax pains, etc. Ramen instant noodle came alive in Japan in 1958 thanks to Momofuku Ando, originally born in Taiwan, who believed noodles could cure world hunger, inspired by 10 years of food crisis after Japan’s defeat in World War II. Nice thought, but don’t be fooled this is business first. The noodles can cook in 2-3 minutes in boiling water, adding seasoning flavor. Ready to eat and super cheap starting from 50 cents for a 60 to 150g pack. Now you can even cook and eat it directly in a plastic cup. Que demande le peuple ?! The World instant noodle association (YES, there is a world association for that!!! ), estimates around 100 millions of instant noodles eaten in the world every year. The Top 10 includes China, n°1 with 38,520 millions in 2016, followed by Indonesia then Japan, Viet Nam, India, USA, Republic of Korea, Philippines, Thailand, Brazil. France arrives only, but still, at the 38th position/54 with 60 millions servings, constant since 2012. Broth and flavors can be slightly different depending on the culture and country. The WINA is also involved in emergency food aid when catastrophic natural disasters occurred, by donating Instant noodles rations. You want Maggi? When I travelled in India and Nepal, it was common to get the brand Maggi served in small restaurants, cooked with vegetables in their own style. So I buried myself in the experience and tasted randomly for lunch 10 sorts of instant noodles, veggie, curry flavors, ramen, soba, etc. Day 1: To eat the 1st one I had to make a huge effort, because that was far from the lunch I was craving for. It looked small and not appetizing. And indeed, it did not meet my expectations, even though it was not disgusting at all. I finally ate something more for my lunch, still hungry. Day 2: Here we go again. Same feeling at first but something weird starts to come. The taste is not bad, pire, I kind of like it. Okay, I am here to taste, so I even eat another one right away! Day 2 at night: The plan is to go out having some beers with friends, but am hungry, don’t want to spent money outside, have no time, no motivation to cook and nothing in the cupboard but a stock of instant noodles… best option at this time and my need was quite satisfied. One night after some other day: Coming back home late at night, need a snack to watch a Gomora episode, in the bed… it is not a game anymore, addiction has started. Yesterday: coming back from watching movie, quite late and lazy, I went to the supermarket and guess what I chose? Ok I admit I did not experiment Morgan Spurlock’s, but with this beginning of addiction with instant noodles, I’d better not. In the shops, I used to have a look at the noodle section and buy some for the experimentation. Now I force myself not to go there to avoid any temptation, like you do with chocolate, imagine?!! If you look at the details: I like the light yellow color with a curly elastic shape which « slurp » in your mouth; a quite good, at least interesting taste; easy and fast to cook; you feel full and quite satisfied. The noodle look like it can stay in the bowl of water for ever, without moving its shape, impressive, right? I would say scary instead! And indeed the huge list of additives, preservatives, salt, sugar, bad fat, and a complex production process*, make you feel betrayed. One of the famous flavor enhancer, Glutamate, gives this good, strong and addictive flavor, plus acting as an « excitatory » neurotransmitter which fools your brain and most likely damages it. *Pre-cooking and frying make instant noodle instant: steamed first, then deep fried to reduce moisture max to 3%, allowing long life conservation and faster cooking (3 minutes max in boiling water). Most of Asian industrials keep on using this method instead of slow drying methods. PS: I am still a MacDo eater, but reasonably (?) and I am nobody to tell you not to do so, same for instant noodles either. At the end the aim is to eat with pleasure, but also feel happy and not feel guilty. But if we are realistic, our way of life makes our meal faster and less and less healthy. Don’t be obsessed with ingredients, but just stay aware of the risks, because good food is the best guarantee of your health. Regarding Ramen tes drêches, instant noodles are an inspiration but definitely not a model. Hopefully we will be able to create tasty, convenient but slow-food and complete good meal.